Every space in your home should be organized because not only does it look aesthetically pleasing, but it increases in functionality. I find being creative and organized can be a pain sometimes. I'm sure most of you can agree. There are some ways you can keep the clutter away and make your space look like a work of art. *This post contains affiliate links. If you make a purchase through one of these links, I will receive a small commission at no extra cost to you. These funds are used to provide content. For more information, please visit our Disclaimer page. Thanks for your support! Having a designated spot for different items is a must. Use a cubby, drawer or bin to corral each type of art supply. Having built-in storage keeps everything at hand and a lot easier to put away. Whether you want to work in your craft room or take your projects on the go, using rolling storage is a must! There are many options out there including popular solutions like the 3-tier Raskog cart from Ikea. Many other retailers, such as Target or Amazon, offer similar styles in various colors. This cart from Amazon is the perfect mint color! One of the most efficient ways to organize a space it to utilize the wall space. Hang a pegboard above your desk to keep the most important tools in front of you, use a bulletin board to organize thoughts and ideas instead of cluttering your desktop and even shelves to house projects and other supplies. 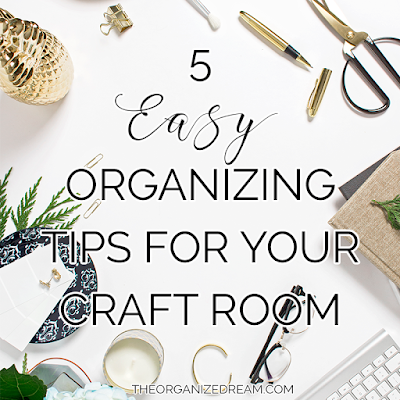 There are a few options to choose from when organizing a desk space. You can use pencil holders to organize markers, pens, pencils and the such. You can opt for desk lamps that have storage or you can use a spinning organizer. Spinning organizers are the best to use because they allow you to organize a multitude of items neatly and at-hand. This particular spinning organizer can hold a lot! Free space is the perfect place for unfinished projects. By providing a designated "zone" for your unfinished work, you'll be more likely to return to them and reduces the look of your space being over cluttered. 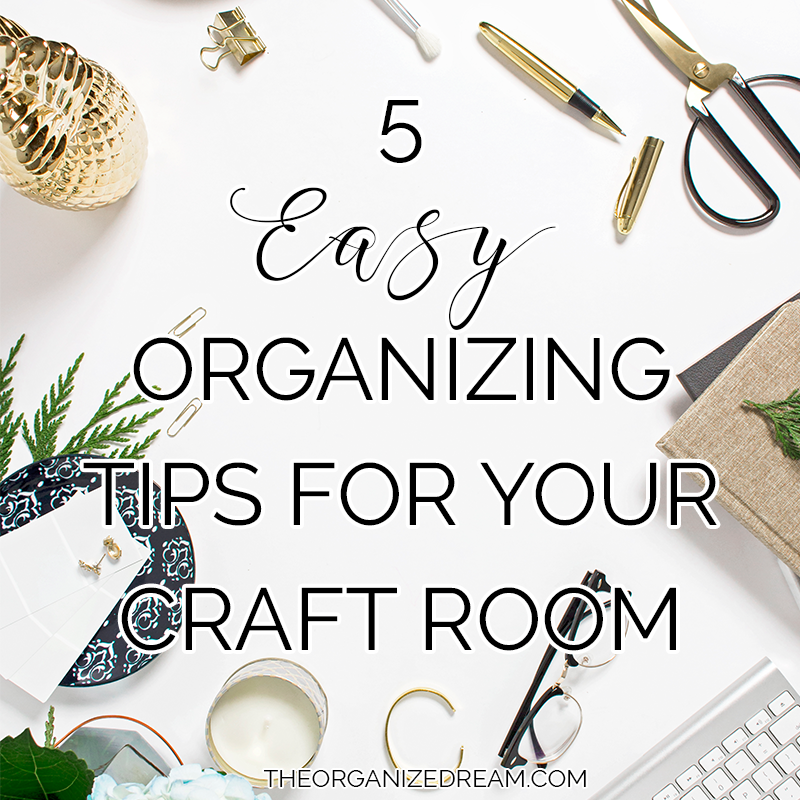 While not everyone has the ability to have a craft room, a craft space can be organized in the same way. 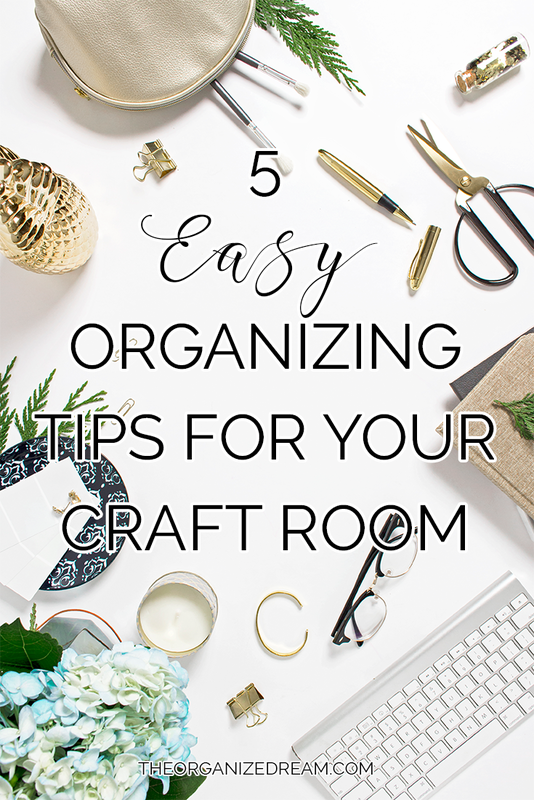 Utilize these tips to organize an entire room or a simple Raskog cart. Want inspiration? Check out my 10 Ways to Declutter and Organize Using a Raskog Cart post!